Prince of Persia-style platformer based on the classic Walt Disney animated movie. 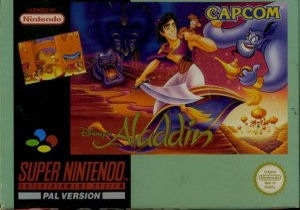 Completely different in look and feel than the Genesis game, Disney's Aladdin for Super NES lets players experience levels based on events in the movie. 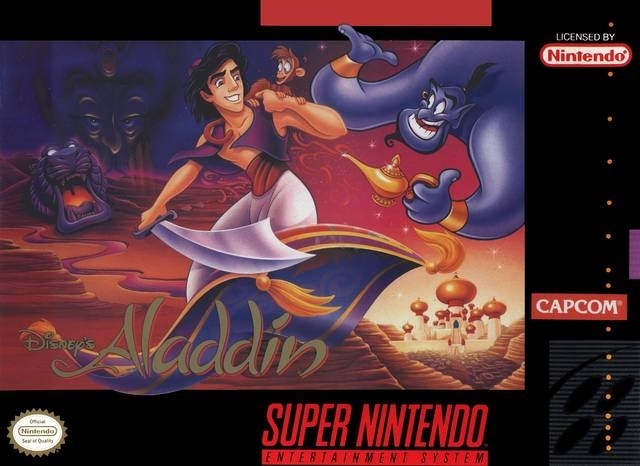 Aladdin can run, jump and fight with his sword -- as well as swing from poles and other structural elements. 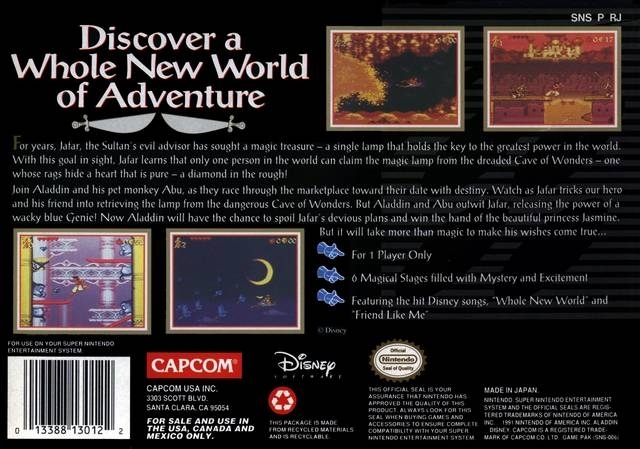 The game's feel is similar to Capcom's own Mickey SNES games, down to the flying carpet segments.